Why is the Philly DA seeking the death penalty in a 40-year-old case? Robert Lark, left, and during his arrest in 1980. It's been almost 40 years since someone walked into a fast-food store near Broad and Erie on Feb. 22, 1979, and shot the owner, Tae Bong Cho, in the back of the head. A man named Robert Lark, who's now 63, was sentenced to death in 1985 for the crime and has been on death row ever since — but back in 2012, he won a new trial, arguing that the jury selection had been tainted with racial bias. While Ed Rendell was district attorney, Philadelphia prosecutors struck 63 percent of black potential jurors and only 22 percent of white ones, according to one analysis; in Lark's case, when his defense lawyer complained at the time of the original trial that the prosecutor was striking only black jurors, the prosecutor responded sarcastically, "Oh, how awful!" On Wednesday, Philadelphia prosecutors asked a jury — this time, 50 percent black — to convict him once again, and to again sentence him to death. Some have called it Philadelphia's last death penalty case. Larry Krasner, the Democratic nominee for District Attorney — running for an office left open after Seth Williams resigned in June and pled guilty to bribery charges — has pledged not to seek the punishment, while the Republican, Beth Grossman, told Philadelphia Magazine it may be economically infeasible. Meanwhile, Gov. Wolf has placed a moratorium on executions. Robert Dunham, executive director of the nonpartisan Death Penalty Information Center, counts 120 death penalty cases that have been overturned in Pennsylvania. Of those, only three people have been returned to death row. No one has been executed in Pennsylvania since 1999. "As a general policy matter, you have to question the pursuit of the death penalty against a defendant who is in his 60s, and ask whether it is a wise and reasonable use of resources. As a practical matter, most people whose death sentences are overturned in Pennsylvania are not resentenced to death," said Dunham, who in a previous role worked to overturn Lark's conviction. If Lark were to be convicted and resentenced to death, Dunham noted, he would likely be in his 70s before his appeals are exhausted and he'd be eligible for execution. Assistant District Attorney Andrew Notaristefano, in his opening statement to the jury, described Lark — known to friends as Sugar Bear — as a violent and cold-blooded killer who thought himself "invincible" and who could not stop himself from bragging about his crimes. 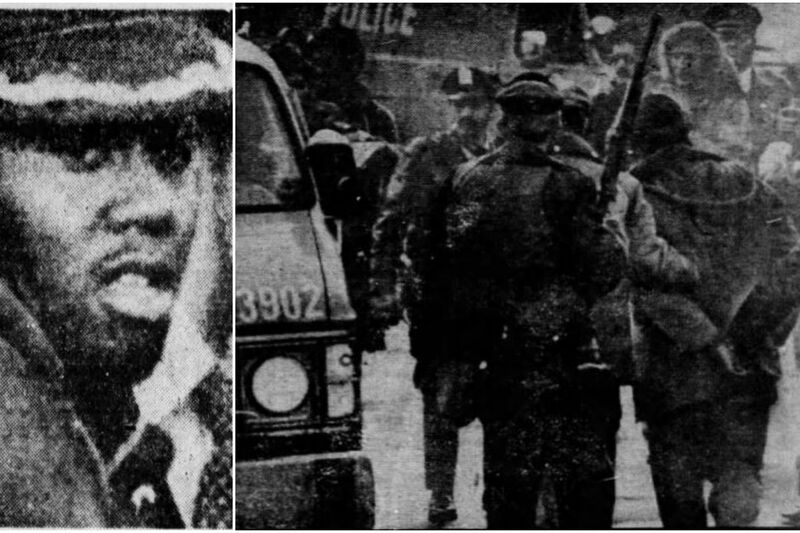 According to the prosecutor, the chain of events began in 1978 when Lark followed Cho from a bank in North Philadelphia to his home in Olney, then held a gun to Cho's baby's head and demanded he hand over the cash he'd withdrawn, just over $4,000. Lark was caught almost immediately, but freed on bail. Though Cho identified Lark at the police station and then appeared in court to testify against him, the case was continued. It was the night before the next court date that Cho was gunned down in his store by a masked man. "There was no robbery. This was a deliberate execution," Notaristefano said. "He took care of Mr. Cho, so Mr. Cho wouldn't testify against him." Though eyewitnesses could not identify Lark, Notaristefano said "multiple, multiple people came forward to say" Lark had confessed to them before he was finally caught in 1980, after leading police on a high-speed chase through North Philadelphia, breaking into a rowhouse occupied by a woman and her two young children, and forcing them into the basement during a two-hour standoff with police. A Daily News clipping from Robert Lark’s 1980 arrest. But the problem with those witnesses — in the 1980s and today — is what prosecutors promised them in exchange for their testimony, according to James Berardinelli, Lark's court-appointed lawyer. "Most of them had open cases, new arrests or violation of probation. We're going to be arguing that impacts their credibility," he said. "For one, the DA's office agreed to completely [dismiss] a firearms case. Another one had five open robbery cases and was looking at up to 300 years in prison at the time he came forward." Lark had made a similar case to the appellate courts — but it was the finding of a racially biased jury selection that won him a new trial. Under the 1986 U.S. Supreme Court case Batson v. Kentucky, prosecutors may not reject prospective jurors based solely on race. Lark's case received fresh ammunition in 1997 with the release of the infamous 1986 tape of Assistant District Attorney Jack McMahon training junior prosecutors on how to stack a jury with white people. The prosecutor in Lark's case struck 10 African-American potential jurors using what's called preemptory challenges, objections made without needing to give a reason. Though in federal court he denied striking any juror because of race, he could not provide other reasons for having eliminated three of them. In a Cornell Law Review study of Philadelphia death penalty cases over 10 years, researchers found that the fewer African Americans on the jury, the greater the racial disparity in applying the death penalty. The logistical challenges in undertaking this hearing were significant. Witnesses are being flown in from out of state, he said, to tell what they can remember 38 years after the fact. Many others have died; their testimony would be read by actors. In the intervening decades, evidence has been destroyed in routine purges. "They all existed," Notaristefano said of the lost items. "We just don't have it here."